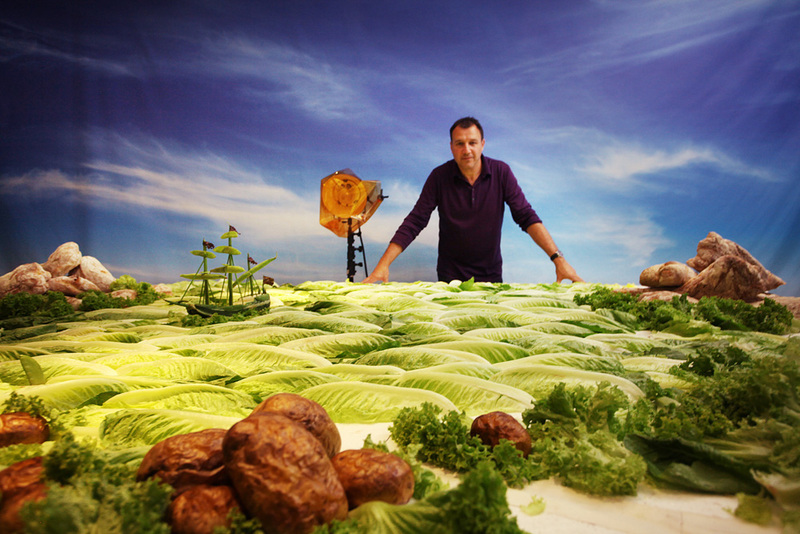 An artist, director, and photographer, Carl Warner has been known since the 90s for his edible landscapes, also known by many as Foodscapes. 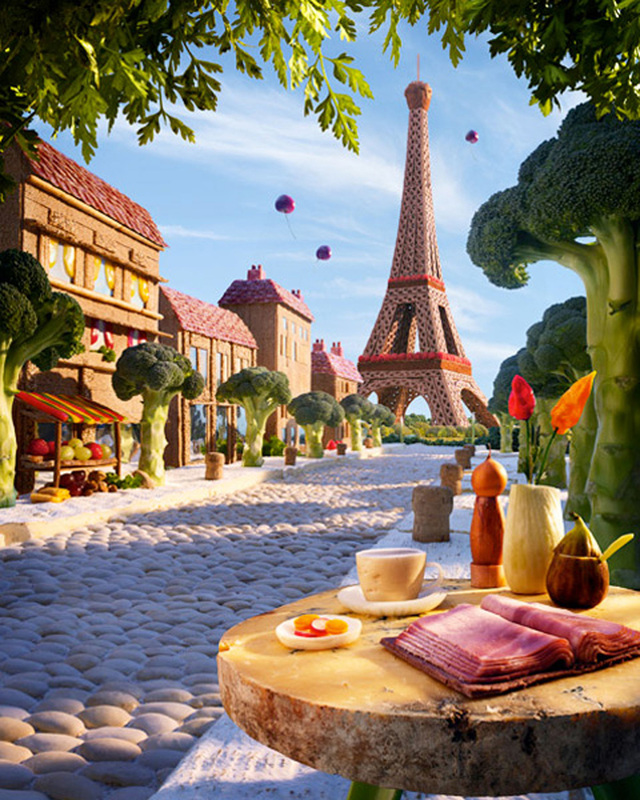 His delicious work, which is created entirely by hand and then photographed and pieced together carefully to create the finished foodscape, has been shown all over the world, as artworks, part of healthy eating campaigns, and even in ads. 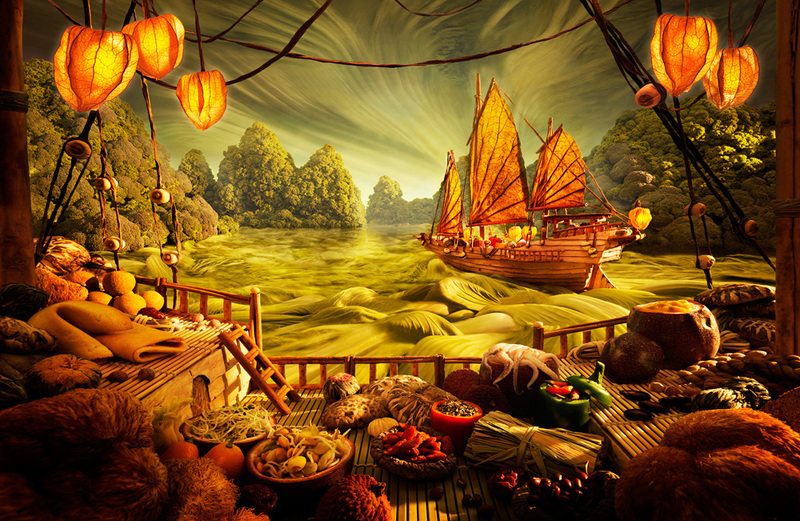 According to website MyModernMent, Warner created his first foodscape in 1998, when he saw a Portobello mushroom in the market that reminded him of a canopy tree. 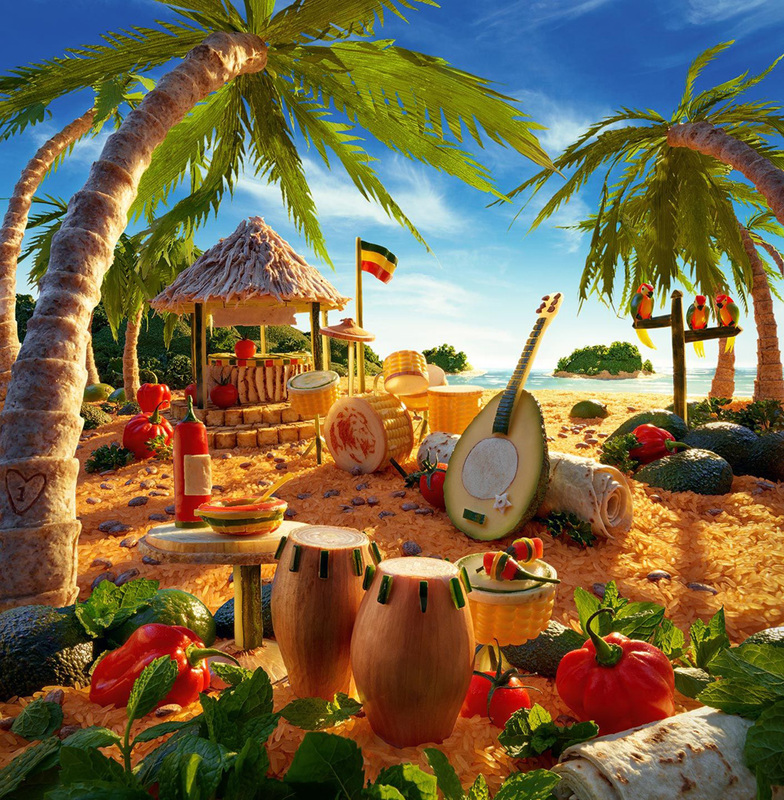 Warner purchased the alien tree and took it back to his studio, where, with the help of some rice and beans, his first appetizing landscape was brought to life. 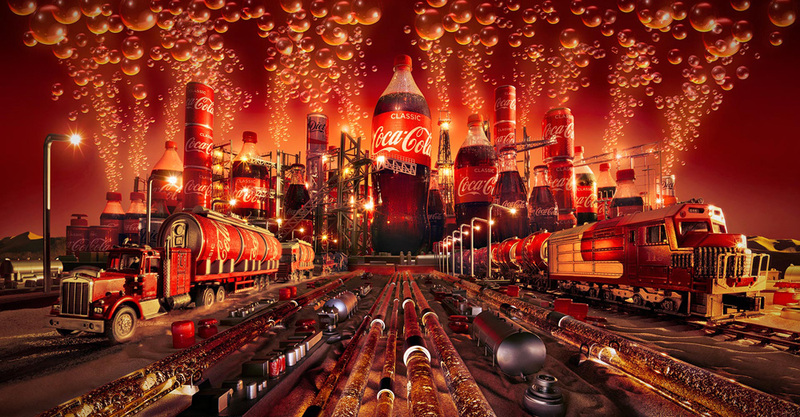 From that point on, he began to create even more complex artworks and made a name for himself along the way. As a child, the British artist was inspired by posters on his walls by artists such as Salvador Dali and Patrick Woodroofe, as well as the record sleeve designs of Roger Dean and the work of Hipgnosis. 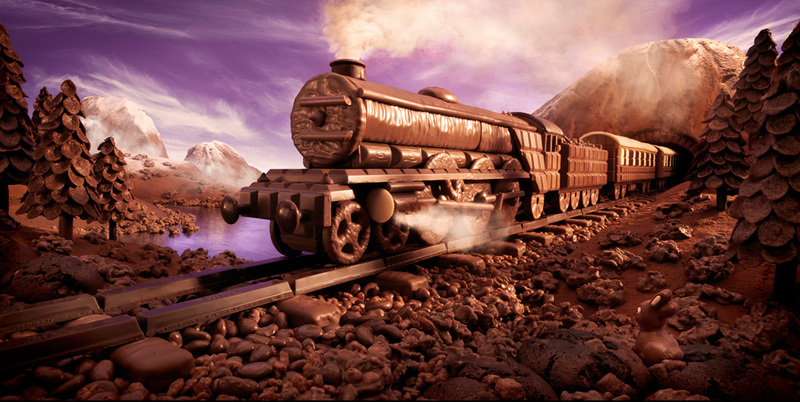 When he grew older, Warner decided to pursue a career as an illustrator but then quickly moved into photography, taking a three-year degree course in 1982 in photography, film, and television. Before creating his own signature style, Warner started out in advertising where he perfected his understanding of how lighting, particularly natural lighting, can make or break a scene, and then from there he started to focus more on his own projects. 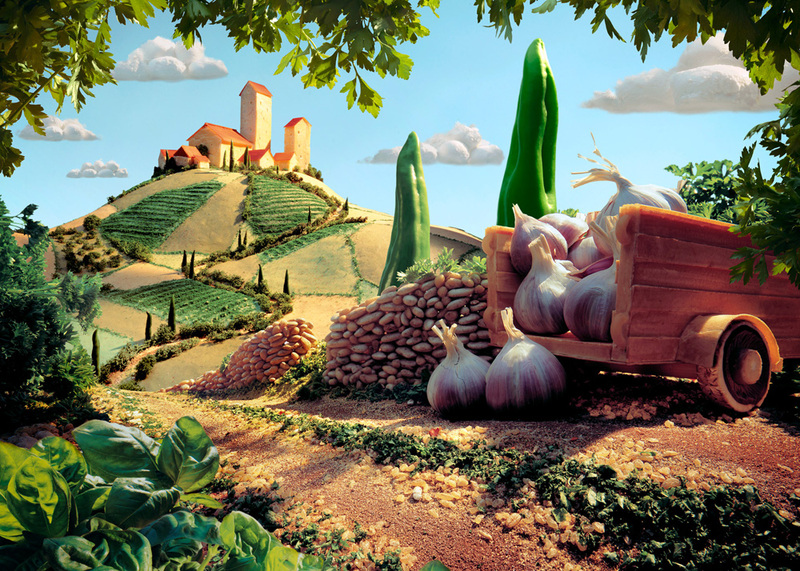 From gorgeous cottages and countryside to stormy seas, the Great Wall of China to the Eiffel Tower, Warner’s landscapes demonstrate his creativity with food and love for details. To achieve such versatility and detail in his work, the artist spends a lot of time exploring stores and aisles across the globe.